A thermistor is an element with an electrical resistance that changes in response to temperature. This name is derived from the more descriptive term “thermally sensitive resistor,” the original name for these devices. Thermistors were first discovered by Michael Faraday in 1833, although commercially useful thermistors weren’t manufactured until 1930. They’re now widely used in a variety of electronic applications, most often as temperature sensors. Additional uses of thermistors include current limiters, current protectors and heating elements. Thermistors are a type of semiconductor, meaning they have greater resistance than conducting materials, but lower resistance than insulating materials. The relationship between a thermistor’s temperature and its resistance is highly dependent upon the materials from which it’s composed. The manufacturer typically determines this property with a high degree of accuracy, as this is the primary characteristic of interest to thermistor buyers. How Do They Compare to RTDs? Thermistors, derived from the term THERMaIly sensitive reslSTORS, are a very accurate and cost- effective sensor for measuring temperature. 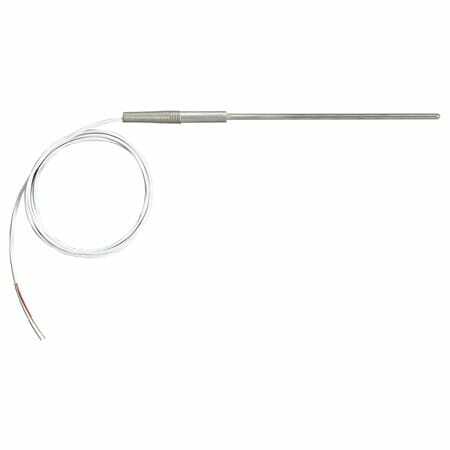 Available in 2 types, NTC (negative temperature coefficient) and PTC (positive temperature coefficient), it is the NTC thermistor that is commonly used to measure temperature. These coatings are used to mechanically protect the thermistor bead and wire connections while providing some protection from humidity and or corrosion. 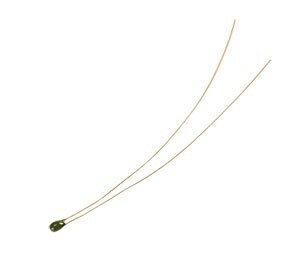 It is the epoxy bead-type thermistor that is used in OMEGA’s thermistor temperature sensor products. 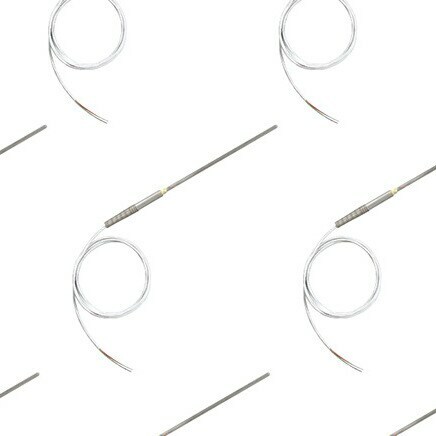 Thermistors are typically supplied with A very small diameter (#32AW or 0.008" diameter) solid copper or copper alloy wires. Many times, these wires are tinned for easy soldering. NTC thermistors drop in resistance with increased temperature. This is also true of the amount of resistance change per degree the thermistor will provide. Relatively low temperature applications (-55 to approx 70°C) generally use lower resistance thermistors (2252 to 10,000Ω). Higher temperature applications generally use the higher resistance thermistors (above 10,000Ω) to optimize the resistance change per degree at the required temperature. 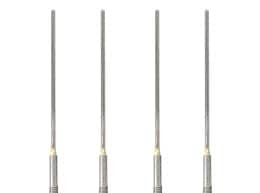 Thermistors are available in a variety of resistances and “curves”. Resistances are normally specified at 25°C (77°F). Unlike RTDs and thermocouples, thermistors do not have standards associated with their resistance vs. temperature characteristics or curves. Consequently, there are many different ones to choose from. Each thermistor material provides a different resistance vs. temperature “curve”. Some materials provide better stability while others have higher resistances so they can be fabricated into larger or smaller thermistors. Many manufacturers list a Beta (B) constant between 2 temperatures (Example: 3 0/50 = 3890). This, along with the resistance at 25°C (77°F) can be used to identify a specific thermistor curve. What Thermistor is Best for My Application? Thermistors are one of the most accurate types of temperature sensors. OMEGA thermistors have an accuracy of ±0.1°C or ±0.2°C depending on the particular temperature sensor model. However, these elements are fairly limited in their temperature range, working only over a nominal range of 0°C to 100°C . Finished thermistor elements are chemically stable and not significantly affected by aging. Once the right resistance and “curve” are established, the user should consider how the thermistor will be used. 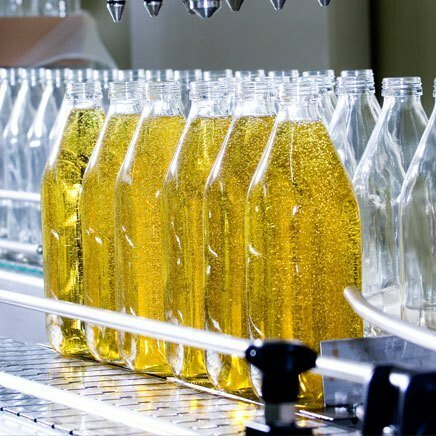 When selecting the right size or packaging for the thermistor sensor, it helps to remember that like any other sensor, a thermistor only measures its own temperature. Thermistor beads are generally not designed for direct immersion into a process. They are small devices that change temperature very quickly since the only thing between them and the environment is a thin coating of epoxy. 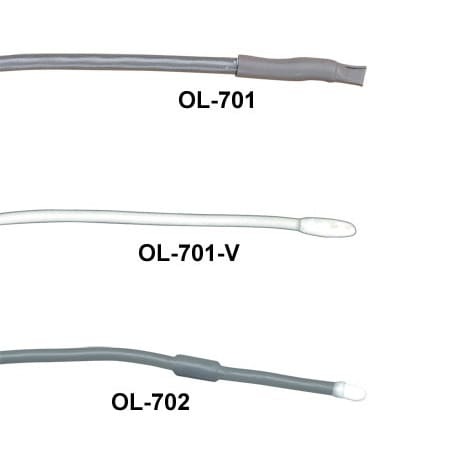 At OMEGA, we offer a comprehensive line of sensors that protect the thermistor while allowing it to be used in a wide variety of applications. Below are a sampling of some of these styles. 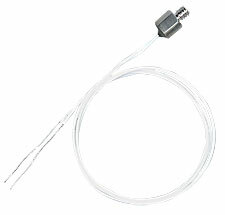 General purpose sensor designs are those that can be adapted to a wide variety of uses. 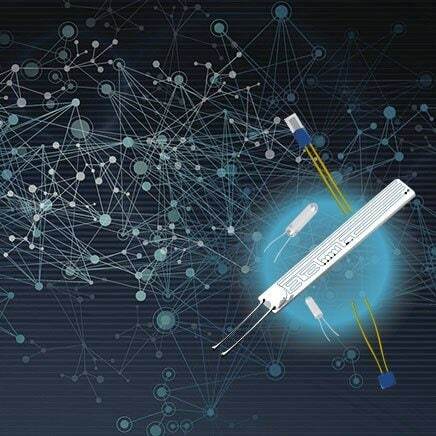 Ranging from electronic equipment to structures, processes and design and reliability testing applications, these sensors are easy to install and monitor. The OMEGA ON-950 is an example of this type of construction. A small SST housing with #8-32 threaded stud can be installed into any #8-32 threaded hole, taking up a very small amount of space. When exposed to liquids, thermistors need to be protected from corrosion as well as positioned into the fluid so it will come to the needed temperature. This is typically achieved using closed ended tubes and specially designed housings. Care must be taken to make sure that there is a good thermal path to the thermistor, and that thermal mass is as small as possible. A simple but effective sensor design for monitoring surface temperature is the ON-409 attachable surface sensor. This design includes a thin, round metal stamping into which the thermistor is epoxied. The metal stamping can then be attached to a surface using an epoxy or other method to measure surface temperature.